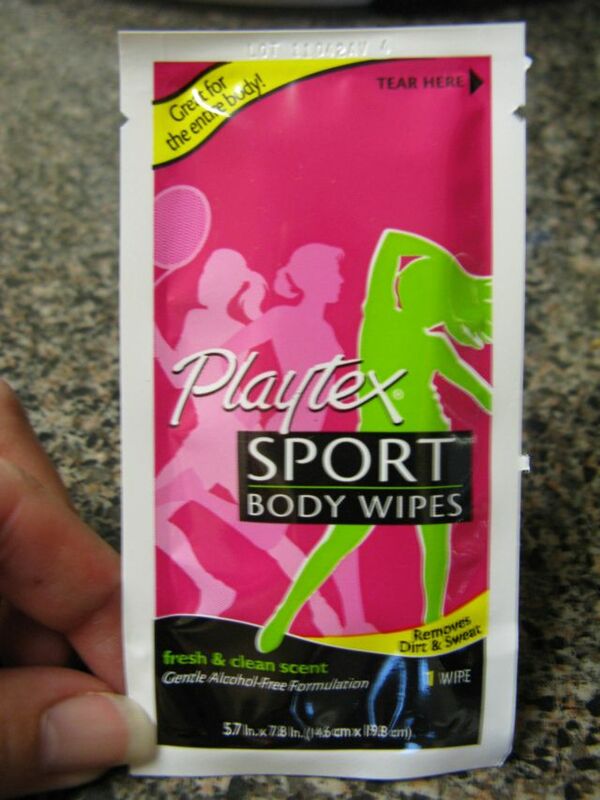 Description of the product: Playtex® Sport Body Wipes are designed to be tough enough to remove dirt and sweat, but gentle enough to use on your entire body. 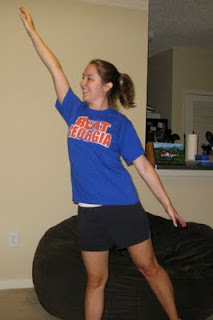 The wipes can be used to clean yourself after workouts, practice, or any time you want to feel refreshed. Sport Body Wipes come as individually wrapped wipes and provide a simple way to feel fresh, clean and confident all day, every day. Review: I have been looking for a product like this for a long time. I always feel icky leaving the gym and I'm not able to rid the feeling until I get home to take a shower. The sweat dries on your skin and it's gross, so I was very excited to try a product that could keep me smelling good and feeling comfortable until I'm able to get to a shower. The first thing I noticed about the product is that it comes in a small, convenient, and stylish package. It was easy to open (was perforated and labeled "tear here") and fit well in my purse making it accessible in times of need (gym, the beach, day trip to the zoo, working outside, ect.). I also loved the pink and green coloring (my wedding colors!). 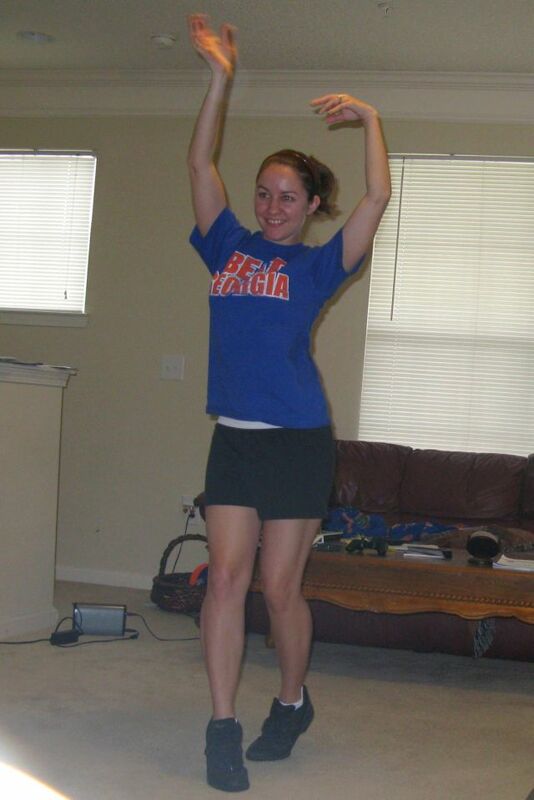 Before I used the product, I decided to do a dance workout DVD to get nice and sweaty. After my workout, I tore the package open and applied the wipe to my body. It felt very cool/refreshing and smelled clean (a cool cucumber fragrance). I was hesitant to use it on my face because it is such a sensitive area, but I went ahead and took the plunge anyways. It seems to work great on my skin (including my face); no irritation or breakouts from the use of the product. My body felt great after the product dried. 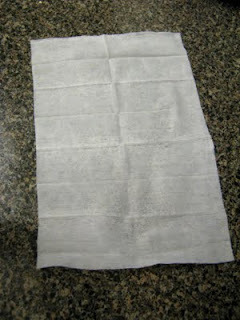 The wipes are alcohol free and therefore don't dry your skin out like other similar products. They also did not leave my body feeling sticky. I felt clean and smelled good...exactly what I would want from a body wipe. The wipes themselves are soft and durable. They are a good size and can cover a large amount of area on your body. You can flush them down the toilet or throw them in the trash can when you are done. Disclamer: I received Playtex® Sport Body Wipes to review and share with friends through Crowdtap. I was not compensated for this review and all opinions are my own! I can't wait to try mine- the package came in the mail last week but I haven't been sweaty enough to try them out yet! I do agree about a variety of scents, though. Maybe a floral, a citrus and a neutral scent like cucumber? I think I would really like that selection of scents.